Cabbage rolls (sarma) are one of the most famous and most delicious dishes in this region. It is made for bigger holidays and family celebrations, and so it is prepared in bigger amounts. In order to make preparation a bit faster and easier for our hosts and housewifes, we prepared sauerkraut leaf for sarma. 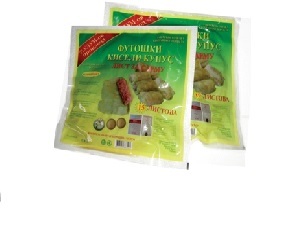 This product is also made out of Indigenous species of Futog cabbage, and it is prepared without any additives and preservatives.